The Ford car designed for the young at heart is refusing to grow old gracefully as the Ford Capri celebrates its 40th anniversary. Although production ended in 1986, Capri lives on within many UK owners' clubs who will be celebrating the anniversary with events planned from Scotland to the South West. Enthusiasts are getting together at Castle Combe, Wiltshire (6th June), Grampian Transport Museum, Alford, Aberdeenshire (30th August), London (5th September) and Brooklands Museum, Surrey (26th September). 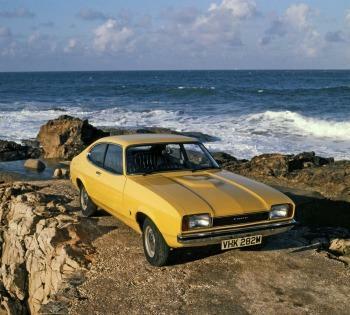 Launched in January 1969 and marketed as "the car you always promised yourself", the Ford Capri was unashamedly aimed at a style-conscious generation. In just 18 years the European answer to the Ford Mustang sold nearly two million units and achieved iconic status with its target audience. 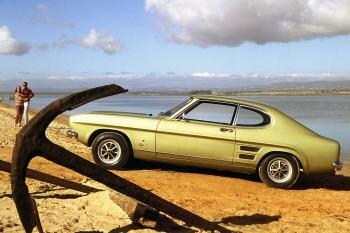 From the outset the Capri was about choice, with a range boasting 26 derivatives. A mixture of engines – 1.3, 1.6 and 2.0 litre four-cylinder units and a 3 litre V6 – catered for all tastes, while optional custom packs allowed a degree of personal customising that broke new ground in the industry. For the serious drivers there was the Cologne-built RS2600 and the short-lived Halewood-built 124 mph RS3100. From 1978, the Mk III saw a tidying up of the Capri body and several special editions such as the Calypso and Laser. In 1981 Dunton's newly-formed Special Vehicle Engineering department unveiled their first project, the 160 bhp Capri 2.8 injection. The limited edition Capri 280, also known as the Brooklands Capri, signalled the end of the Capri era and the last car left the line in December 1986. While the Capri is not the biggest seller in Ford history it is evident from the devoted enthusiast base that it is certainly one of the most fondly remembered.